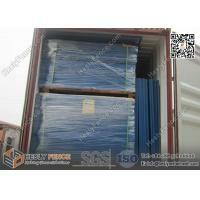 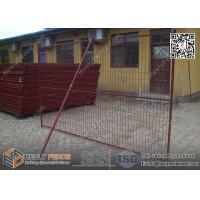 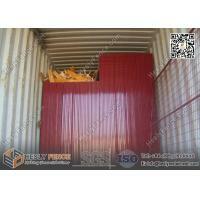 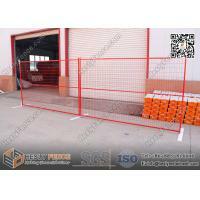 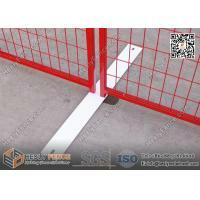 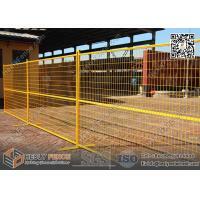 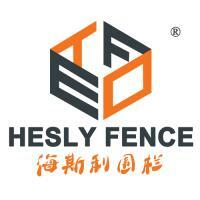 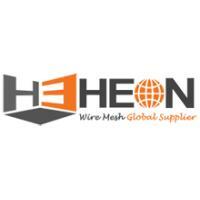 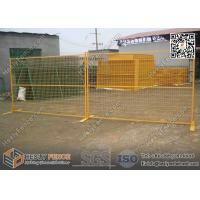 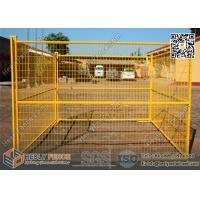 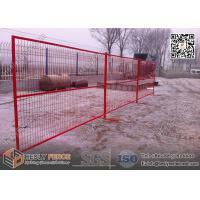 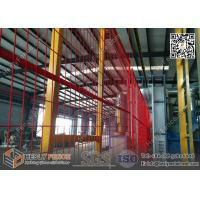 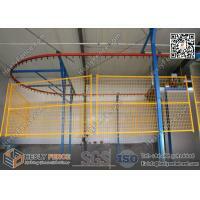 Hesly's temporary construction fencing panels have 1″ square tube frame with 2×4 “anti-climb mesh”. 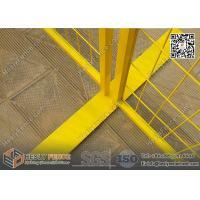 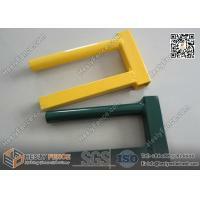 Each panel is painted a highly visible safety powder coat RAL color. 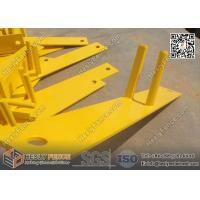 The panels sit on stands and are clamped together for strength and security. 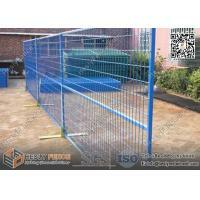 Our temporary fencing is quick to set up and easy to move and is ideal for restricting access or containing a site and is commonly seen at construction sites, public events, as a dog run, or anywhere crowd control is important. 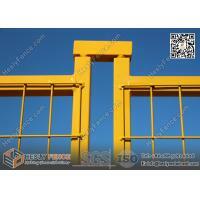 Our standard panels are available in 6’H x 9.5’L or 4’H x 9.5’L panels with either powder coated or thermoplastic (PVC) finished, but we can customize quickly for any size, colour or finish to perfectly suit your needs at the best available price. 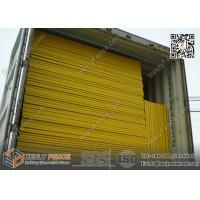 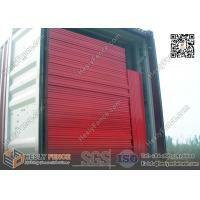 Dimensions 4'X10', 6'X10', 8'X10', 6.5'X9', 6'X9.5', 6'X9.5' etc.